Throughout Friday 17 June we will broadcasting an exclusive audio stream at our store at 12pm! The broadcast will include music curated by the band as well as a very special 2-hour live set of performances from their latest tour, featuring songs from the new album as well as favourites from the Radiohead catalogue! 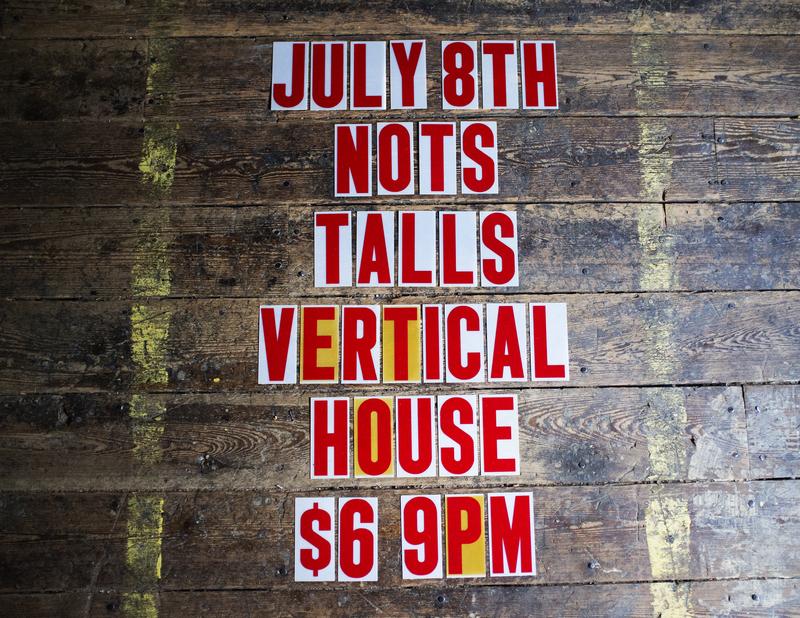 We will begin streaming at 12pm CST at Vertical House Records! We will also have a limited amount of white vinyl versions of the new album as well as the black vinyl version that will go on sale first come first serve when we open! 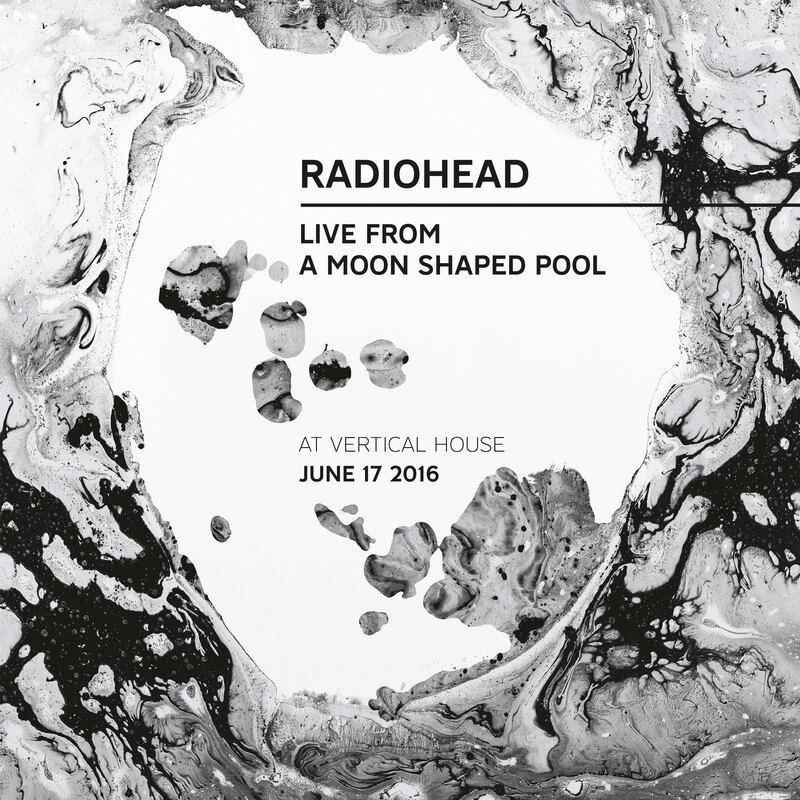 Customers attending are welcome to enter a free prize draw exclusive to stores participating in Live From A Moon Shaped Pool. 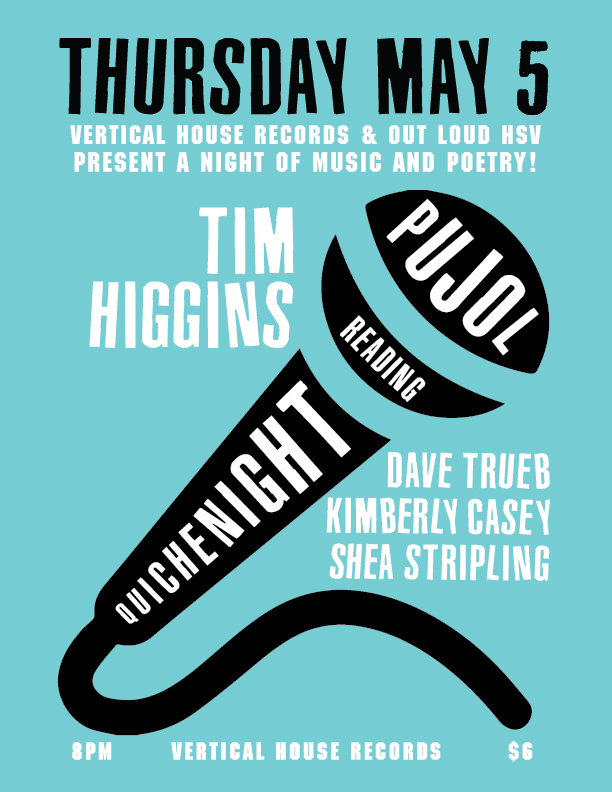 8th Annual Record Store Day celebration at Vertical House Records. There are tons of great limited edition releases coming out this year! 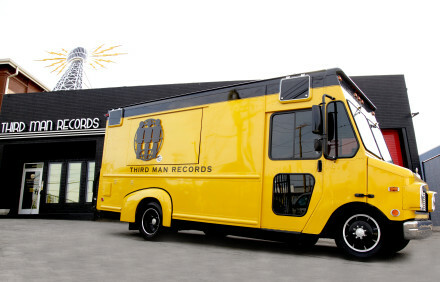 Record Store Day releases are first come, first serve. One per customer. No holds or pre-sales. 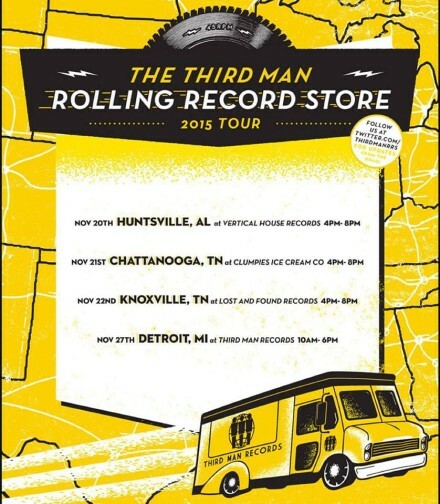 If you are interested in seeing what is coming out check out the RSD release list here! We suggest getting here early to get a good spot in line because it is our busiest day of the year! 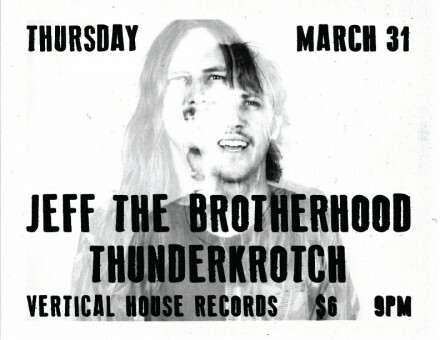 The best rock ’n’ roll, the kind that gets under your skin and makes all your senses heighten, is simple and comprised of hard work and unrelenting passion—all of which JEFF The Brotherhood. Brothers Jake and Jamin Orrall have been playing together since they were little kids and formed the group when they were in high school. The boys grew up with a voracious appetite for any music they could get their hands on. The band incorporates a DIY ethos in everything they do, including their raucous live shows. JEFF have been touring tirelessly for the past 10 years, playing any and all conceivable venues—from basements and backyardsheds to Bonnaroo and The Bowery Ballroom. The duo clocked in over 400 shows in the past two years alone and have shared bills with Best Coast, Fucked Up, Pentagram, The Kills, The Greenhornes and more. David Bowie’s influence on the visual and performing arts can’t be stressed enough. 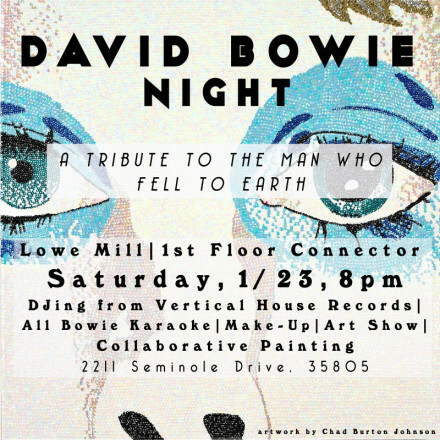 To honor that influence, Lowe Mill is excited to host David Bowie Night. January 23 at 8-11PM in the 1st Floor Connector, join us for a Bowie DJ set from Vertical House Records, All-Bowie karaoke, Bowie make-up stations, a pop-up David Bowie art exhibition and a big collaborative painting. We hope you’ll come out and help us remember this artistic trailblazer! If you’re interested in being a part of the pop-up art exhibition, please contact aaronhead@lowemill.net. 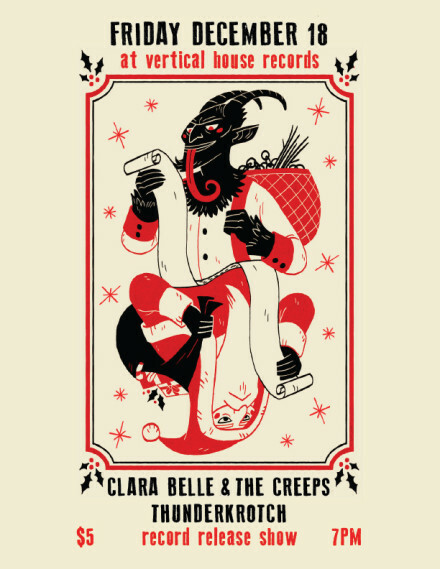 IT’S OUR ANNUAL HOLIDAY SPECTACULAR PARTY and RECORD RELEASE SHOW for both bands!!! Come out and listen to some christmas tunes before the bands take the stage! Both bands have new LP’s right in time for the holiday season! 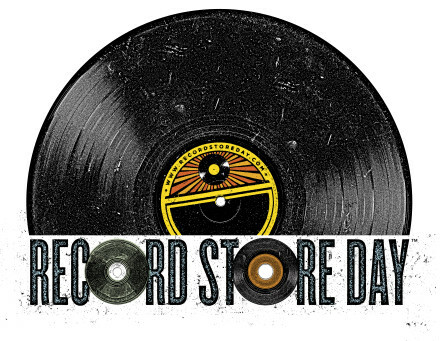 As usual we will be closed on Thanksgiving but open Friday and taking part in the Record Store Day Black Friday (November 27) festivities from 12-6pm! We will have a good selection of the limited edition vinyl releases that are coming out! 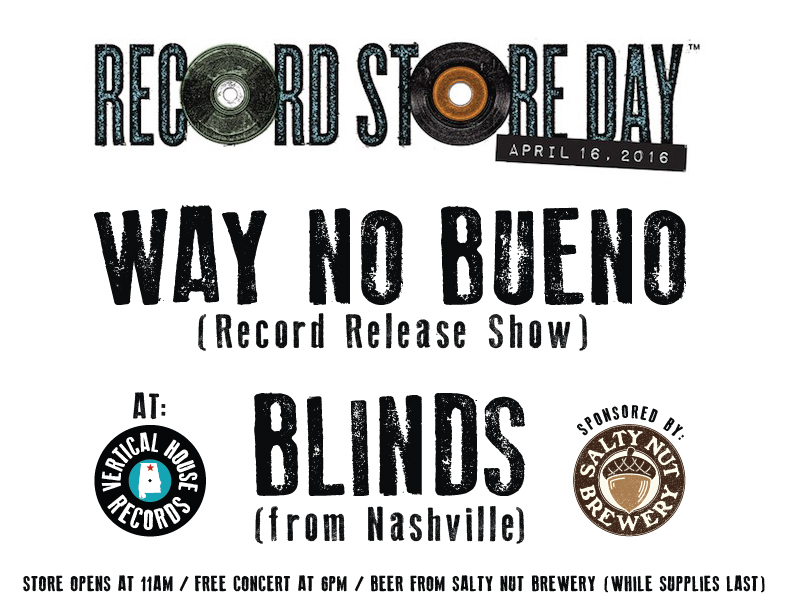 The limited Record Store Day records are first come first serve, no presales or holds for these specific titles. Here is a list of some of the releases coming out! We suggest arriving early to get a good spot in line for a better selection of titles.